Salmon knife with a pitted 30 cm stainless steel blade. 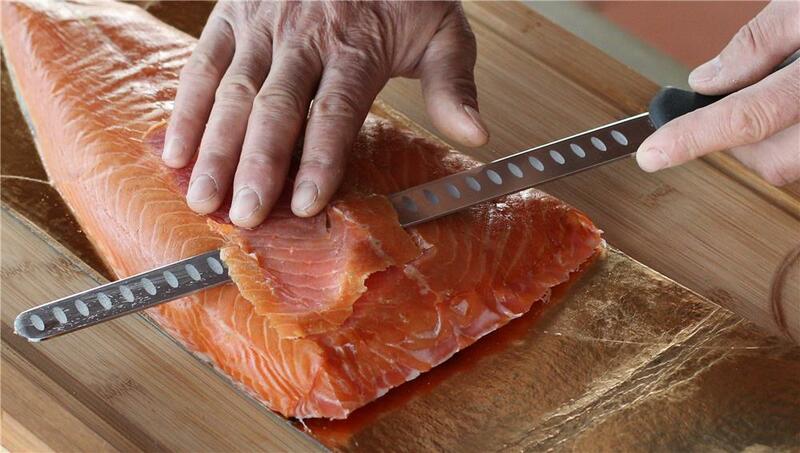 The straight blade has a rounded tip to avoid poking holes in the salmon. 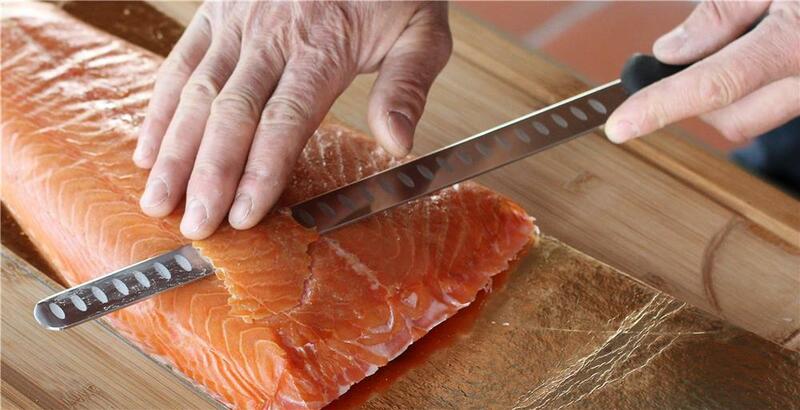 The air holes in the blade prevent the flesh from sticking to the blade, and you can easily make thin slices with fear of the meat sticking to the knife. Also very convenient for slicing ham (large thin slices) to make ""chiffonades"". Length of the blade: 30 cm.